Hrishikesh is a Principal in Roland Berger's London office. He has worked with clients on a range of issues including business strategy, pricing and commercial due diligence. His main area of focus is M&A advice for private equity and corporate clients in sectors such as infrastructure, industrials and business services. 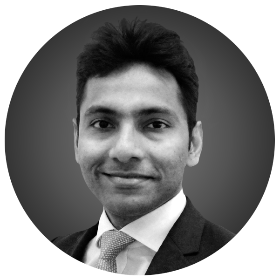 Hrishikesh holds an MBA from London Business School and a Mechanical Engineering degree from Indian Institute of Technology Roorkee, India.